In the market for high-caliber entertainment? Check out this week's lineup of acclaimed movies showing on the big screen in and around Dublin. 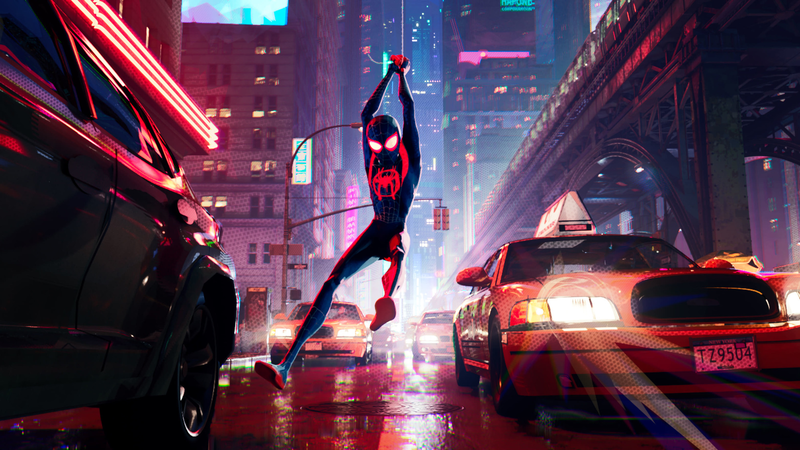 With a critical approval rating of 97 percent and an audience score of 95 percent on Rotten Tomatoes, "Spider-Man: Into the Spider-Verse" has gotten stellar reviews from both critics and the public since its release on December 14. Get a piece of the action at Regal Hacienda Crossings Stadium 20 & IMAX (5000 Dublin Blvd.) through Friday, Jan. 4. Click here for showtimes and tickets. Catch it on the big screen at Regal Hacienda Crossings Stadium 20 & IMAX (5000 Dublin Blvd.) through Friday, Jan. 4. Click here for showtimes and tickets. With a 94 percent critical approval rating and an audience score of 59 percent on Rotten Tomatoes, "The Favourite" has become a favorite with critics since its release on December 14 -- as attested by its five Golden Globe nominations. According to the site's critical consensus, "'The Favourite' sees Yorgos Lanthimos balancing a period setting against rich, timely subtext - and getting roundly stellar performances from his well-chosen stars." Follows Adonis Creed's life inside and outside of the ring as he deals with newfound fame, issues with his family and his continuing quest to become a champion. With an 83 percent critical approval rating and an audience score of 84 percent on Rotten Tomatoes, "Creed II" has proven a solid option since its release on November 21. As the site's critical consensus would have it, "'Creed II''s adherence to franchise formula adds up to a sequel with few true surprises, but its time-tested generational themes still pack a solid punch."